On Tuesday, the Supreme Court heard argument in an important Social Security Disability Insurance case, Biestek v. Berryhill. At issue was whether the Social Security Administration may ground a decision to deny benefits on the opinion of a vocational expert who refuses to disclose the data on which that opinion relies. Under the regulations, once a claimant has demonstrated that a severe impairment prevents her or him from returning to past relevant work, the agency must show that jobs exist in substantial numbers in the regional or national economy that the claimant can perform. The vocational expert’s opinion is crucial to the agency’s carrying its burden of proof. Vocational experts testify in response to hypothetical questions posed by administrative law judges. The judge will ask the vocational expert whether the claimant can perform any jobs if the judge finds that the claimant has a particular set of limitations. The vocational expert, commonly a professional staff member from an employment agency, will testify based on a combination of public data compiled by various federal agencies and the expert’s own experience. Claimants’ counsel has access to the federal data, but what the expert says about her or his direct experience placing job-seekers typically is dispositive in a case. Disputes commonly arise either over whether the job in question can, in fact, be performed by a person with the claimant’s limitations or whether that job does exist in substantial numbers in the regional and national economies. After the vocational expert in Michael Biestek’s case testified that Biestek could work as a sorter, Biestek’s counsel asked for the data on which the expert’s opinion was based. The expert said it was contained in confidential client files. Counsel said that redacted versions were fine, but the administrative law judge intervened to rule that the expert would not have to provide that information, and the ALJ went on to deny Biestek’s claim for benefits. The justices’ questioning provided no clear sense of which way the court is likely to rule. Several justices questioned whether this case is an appropriate vehicle for making general law. Justice Ruth Bader Ginsburg noted that Biestek’s attorney did not substantially cross-examine the vocational expert after being denied the expert’s underlying data, suggesting that the court cannot know whether effective cross-examination was still possible. Justice Stephen Breyer suggested that the need for cross-examination depends on the facts of an individual case. Justice Sonia Sotomayor also wondered whether the court had sufficient information to lay down a “blanket rule” about vocational experts having to submit the data underlying their opinions. 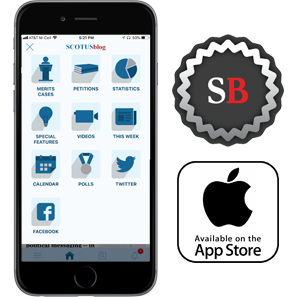 Both Sotomayor and Chief Justice John Roberts suggested several ways cross-examination might destroy an expert’s testimony without access to the underlying data. The chief justice later noted, however, that “when you’re having someone testify to data and numbers, the way you cross-examine is to ask what she relied on and then see if that testimony lines up.” And Sotomayor questioned whether the government’s position was essentially shifting the burden of proof to the claimant to show a lack of foundation for the vocational expert’s opinion when Social Security regulations place the burden at this stage of the process on the agency. Ishan Bhabha, representing Biestek, responded that the publicly available data is generally inadequate for that purpose. The Department of Labor has not revised its Dictionary of Occupational Titles since 1991 and census data tends to be too broadly aggregated to answer particular questions. Roberts surmised that the ALJ might have allowed access to the underlying data had Biestek’s counsel made these sorts of arguments. Justices Samuel Alito and Elena Kagan pursued a line of questioning that could, in principle, lead to a fundamental re-examination of a cornerstone of administrative law: the substantial-evidence standard. Courts long have interpreted that standard to require consideration not just of the evidence supporting an agency’s position but also of the evidence refuting it. Courts are not empowered to reweigh the evidence, but they can reject an agency decision as lacking substantial evidence if nothing adequately responds to a particularly telling point made in opposition to the decision. This “Twelve Angry Men” approach to substantial evidence has compelled agencies to concern themselves with the whole record rather than just assembling superficially adequate support for their positions. Alito, however, stated: “Substantial evidence refers to a quantum of proof. And … it’s hard for me to see why that inquiry is different depending on whether the underlying information … was requested or not.” He said that access to cross-examination seemed more of a procedural-due-process question than one of substantial evidence, a point Kagan pressed as well. The two justices asked whether, if including the expert’s underlying data in the record is a question of substantial evidence rather than procedural fairness, that data should not be required whether or not the claimant requests it. Bhabha responded that he would welcome that rule but had not pressed it because it went beyond what courts of appeal have required of vocational experts to date. Later in the argument, however, Justice Neil Gorsuch stated that this was “[n]ot a process problem,” noting that, in a case in which the Federal Rules of Evidence applied, a court would have no trouble finding that no rational jury could believe an expert witness who refused to disclose her or his underlying data. Assistant to the Solicitor General Anthony Yang responded that, in Biestek’s case, it was the ALJ, rather than the expert witness, who ultimately refused to make the underlying data available. In framing his argument for the government, Yang emphasized the unparalleled vastness of the Social Security Administration’s disability adjudication process, with roughly 2,500 hearings being held each day. This, in his view, meant that the SSA had to be allowed considerable latitude to adopt procedures to make the system work. This argument ran afoul of Sotomayor and Ginsburg, who pointed out that an SSA manual for vocational experts – albeit one issued after this case arose – tells the experts that they must be prepared to disclose the data underlying their opinions. Yang responded that vocational experts cannot bring all their relevant case files to a hearing because they do not know in advance what they will be asked. This response ignored the fact that most vocational experts testify by telephone from their offices. But Yang did imply what is almost certainly true: that the process of responding to requests that vocational experts produce their underlying data would require continuances in such cases, a result he argued would substantially impair the agency’s functioning. Justices Brett Kavanaugh and Gorsuch expressed skepticism that the agency’s burden would be so great. Ginsburg and Gorsuch noted that the SSA’s manual requires experts to be ready to produce “any” material supporting their opinions. Gorsuch asked why the court should not defer to that sweeping directive. Yang responded that the manual was not intended as legally binding guidance. Both of the lawyers and several justices danced around a central underlying problem: Many people suspect that vocational experts’ opinions, whether favorable or unfavorable to claimants, have tenuous support. Indeed, vocational experts increasingly have become black boxes, churning out de facto decisions in many disability cases based on little more than guesswork. Bhabha noted that the courts of appeal have often criticized vocational experts’ testimony. Kagan observed that one amicus curiae in support of Biestek presented wildly varying estimates that vocational experts have offered in different cases of the prevalence of the kind of jobs that the SSA determined Biestek was capable of doing. Had one of those other vocational experts been called in his case, Biestek likely would have prevailed. Yang acknowledged the weaknesses in the publicly available data, to the point that Sotomayor eventually told him that he was “worrying me that this is, in fact, what all of the critics are saying … [t]hat these are numbers pulled out of a hat as a person sits there.” The chief justice later said that “no matter how much of an expert a person is, what you’ve basically said is … trust me. [A]nd it’s not just trust me … in general. Trust me, I think, it’s 20 percent. It does have a sense of being pulled … out of the air.” Ginsburg wondered how substantial the vocational expert’s claim of confidentiality can be if the vocational expert had, as she claimed, conducted research into labor market conditions. 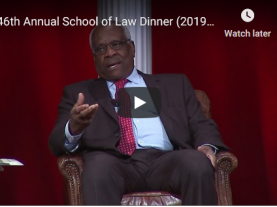 As usual, Justice Clarence Thomas did not speak during the argument. The justices certainly identified several possible bases for a minimalist decision. They also, however, raised tantalizing hints of a broader ruling. If the court were to embrace the narrow view of the “substantial evidence” test, administrative agencies would have sweeping license to engage with arguments against their preferred decisions. On the other hand, several justices seemed disposed to force the Social Security Administration finally to address long-standing objections to the arbitrariness of vocational experts’ opinions.